Let Trusty Tails minimize your stress! Our professional cat sitters will tend to your cat with love and play so you can enjoy your time away. 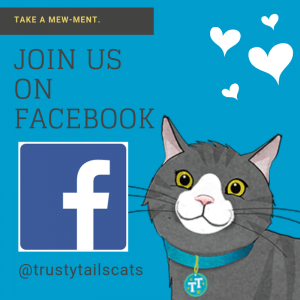 At Trusty Tails, we are all about making your life easier and your cat’s life happier. We believe in Cat Happiness. We get that your cat is your baby. And we are here to minimize both yours and your cat’s stress by allowing your cat to stay in your home while you are away. Because we believe in Cat Happiness, we have a team of trusted Cat Sitters dedicated to taking care of your cat’s needs on a daily basis. All of our professional cat sitters go through a rigorous screening process and are trained to care for your cat in the best way possible. Meet Our Cat Happiness Manager and learn about her love for cats and how she understands the stresses of finding great cat care. 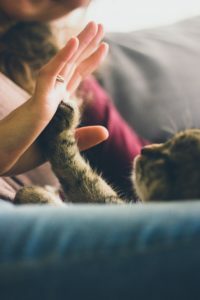 With our Cat Happiness Team, we always have a backup cat sitter in case of emergency meaning your cat is never left without a professional cat sitter. We would love to care for your cat while you are away. Some cats prefer to know the person entering their home. We’d love to come and meet you and your cat. Schedule a Quick Phone Consultation Get Started with Cat Care & Register Now! We know what makes a cat happy. 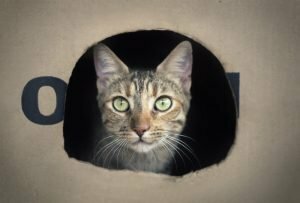 Cats love their routine, consistent care, and their own home environment. A better questions is, what makes your cat happy? 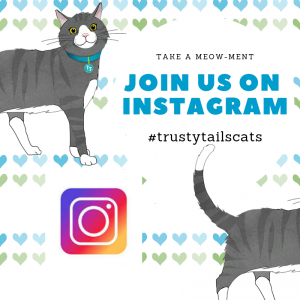 With Trusty Tails, you’re able to customize your cats care plan in our online system. We believe in Cat Happiness and our cat care ensures your cat is happiest while you are away. Minimizing stress by providing emotional and physical care while you are away. Services are tailored to suit the needs of your cat and maintain their routine. Fresh food and water, scoop/change litter, playtime, brushing, and lots of love. We stay as long as it takes to make sure your pet is cared for and loved properly,but visits are typically 20-30 minutes. Upon completion of each cat sitting visit, a GPS time stamped map, pet care journal and photos are emailed to you. Our convenient portal allows you to instantly communicate directly with your cat sitter about your cat’s every need. Tired of cleaning out the litter box? Trusty Tails Pet Care is here to help. Maybe just plain sick of scooping the poop. No need to stress over your least favorite chore. We are ready and willing to step up to the task. Have you ever considered an overnight pet sitter for your cat? Why should they have to spend all night alone. 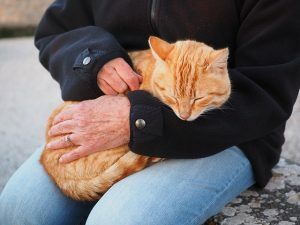 Is your cat elderly, have special medical needs or just doesn’t like being alone? Book a sleepover with one of our cat sitters. We’ll come and stay from 8pm-8am and snuggle with your cat while you are away. There is no reason they should be lonely all night. Schedule overnights each night you are away, or schedule a cat sitter for one night in the middle of a week of daily visits. Cats love a fresh clean box to dig in and use! Litter Cleaning Service: Scoop/Replace Litter, Sanitize Monthly, Requires minimum of 2 per week on a recurring weekly schedule. Register Now for Litter Care! 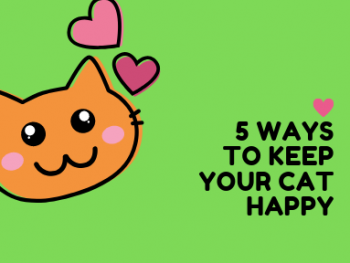 Your cats will be so happy, they'll hardly notice you're away! Visits for 1-3 Cats: 20-30 Minutes, Fresh Food/Water, Scoop/Change Litter, Playtime/Brushing, Lots of Love and affection. Register Now for Cat Sitting! 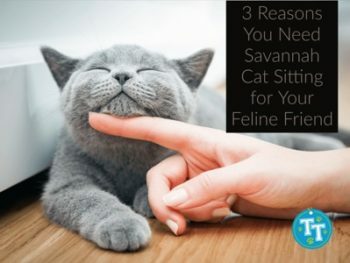 Why should your cat be alone for so long? Overnights from 8pm-8am We'll snuggle with your cat all night because there is no reason your cat should be lonely all night. Register Now for Overnight Care!